Using artificial intelligence to change the way the education system works seems like a fool’s errand. When you combine the fluid and opaque nature of AI technology with the slow, bureaucratic decision making of education, you usually wind up with the perfect storm of stagnation, frustration, and rapidly burning through investor capital. Out guest today, however, thinks he’s found a way to make it work. 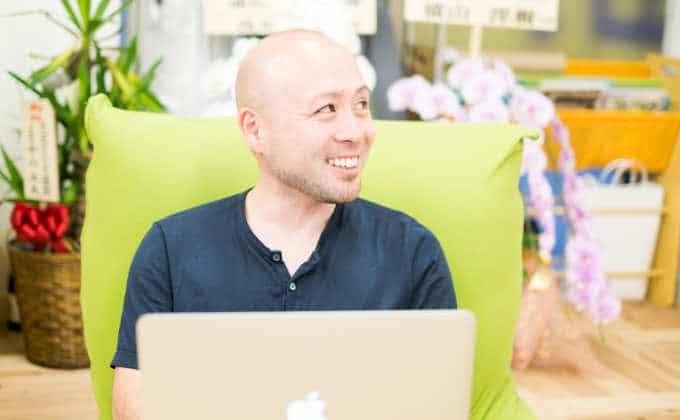 Daisuke Inada, founder and CEO of Atama+, left a promising career at Mitsui to start an EdTech company he believes will change the way children learn. Interestingly, Daisuke’s vision is not the standard EdTech dream of online classes and automated learning. It’s one where human instructors are still very much involved and critical to the success of both the students and the programs. Of course, their role will change and the overall structure will look quite different from what we know today. It’s a fascinating discussion, and I think you’ll really enjoy it. Today, we’re going to talk about artificial intelligence and natural intelligence. In fact, we’re actually going to talk about using artificial intelligence to improve natural intelligence, so yeah, and tech. Education is one of our institutions that is both most in need of disruption and most resistant to disruption, and there’s probably no small amount of cause and effect in that statement. I mean, the reason education is in such need of disruption is because it has been so hard to change for so long although almost every other aspect of our lives has been transformed. Education has changed over the past 100 years, not just in Japan, mind you, but all over the world. Well, today, we’re going to talk about exactly why that is and what the hell we can do about it. So I’d like to introduce you to Daisuke Inada, founder and CEO of Atama-Plus. Now, Daisuke left a long and lucrative career at Mistui because he believes he has a better way to help people learn. Now, in the interview, Daisuke and I talk about jyuku and for those of you outside japan, I should probably explain what jyuku are and why they’re important to innovation and education. Jyuku is usually translated as cram school. They don’t really have a parallel in the west, but they’re very common in Japan and in other parts of Asia. Jyuku are school run by private companies and Japanese high school students attend jyuku after they finish their regular classes and on weekends, and on holidays. The purpose of these schools is to help the students score higher on their college entrance exams or in the case of junior high school jyuku, to increase student scores on their high school entrance exams. Unlike the high schools and junior high schools themselves, however, jyuku are private companies and some are even publicly traded. Jyuku compete fiercely for students and they’re evaluated based on how well their students do on the tests. It’s no surprise that they’re willing to try new technology and why most education innovation in Japan focuses on jyuku. Now that you have that background, our conversation with Daisuke will make a lot more sense. 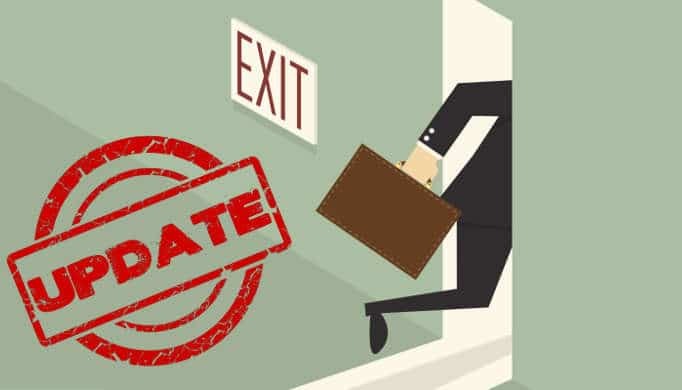 Of course, we also talk about the challenges he faced when deciding to leave Mitsui and he has some practical advice for how people who are not plugged into the startup scene can find co-founders. But you know, Daisuke tells that story much better than I can so let’s get right to the interview. Tim: So we’re sitting here with Daisuke Inada of Atama-Plus which is AI for education. So thanks for sitting down with me today. Daisuke Inada: Thank you very much for coming to our company. Tim: Well, listen, AI for EdTech is really vague and there’s a lot of companies doing it so why don’t you explain what Atama-Plus does? Daisuke: We are trying to provide AI program to high school students and junior high school students in Japan. We provide a personalized curriculum which consists of video lecture, exercises, and tests analyzing the data of the students such as proficiency, learning history, consideration level, and so on. Tim: Okay, well, what kind of classes are you targeting? Is it like Mathematics or Language, or History? Daisuke: At this moment, we provide Mathematics contents to high school students but we are preparing other subjects, so we will launch our new products of English grammar, Physics, and so on. Tim: Tell me about your customers. Who’s using Atama-Plus products now, is it the government or jyuku, the cram schools, or universities? Daisuke: Our business model is based on B2B2C, especially B to jyuku to students. I don’t know if you are familiar with the term of jyuku. Tim: It’s, for our listeners overseas, a jyuku is – prep school doesn’t quite get the intensity of how cram school is good. So it’s for students, many, many Japanese students go to cram school after their regular lessons to study for university exams. Daisuke: The last year of high school, almost 70% of students go to jyuku after their regular schools and almost 80% of third-year of junior high school go to jyuku. The concept of jyuku is very popular in Japan. Tim: Yeah. Well, later on, I want to talk in detail about innovation and education, and EdTech, but I find it interesting that in Japan, jyuku will be innovative. They are private companies that are competing with each other. It’s not like high schools or universities, so jyuku seems to be the ones that will try new technology in education. Daisuke: Yes, that’s why we want to innovate the education together with jyuku. Tim: Well, listen, before we dive into EdTech and AI for education, I want to talk a little about you. So looking at your history, you seem like a very unlikely entrepreneur. 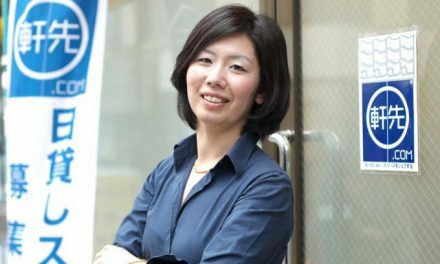 So you graduated from University of Tokyo, you worked at Mitsui which is a well-established, well-respected Japanese company for like, 11 years, why leave Mitsui to start a startup? Daisuke: During Mitsui, I had been in Brazil for five years. I started education business in Mitsui. Firstly, there was no education business in Mitsui. We founded a joint venture between Mistui and Benesse which is the largest education company in Japan, in Brazil, so that’s why I started education business. We tried to bring Japanese education know-how from Japan to Brazil. Tim: How did that work out? Daisuke: Unfortunately, financial result was not good. They decided to close the company so we closed the company and I stayed in Brazil and I started another business of education in Brazil again. Daisuke: With Mitsui. Actually, we invested in EdTech company in Brazil and I was working there. Tim: But what was the trigger that made you leave Mitsui and start Atama-Plus? 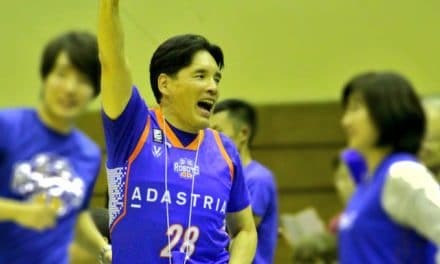 Daisuke: I returned to Japan, I was trying to start new education business inside Mitsui but it was difficult and slow to innovate education in a huge company so that’s why I thought it would be better to start from scratch. Tim: Let’s talk about that because I think it is – I work with a lot of different Japanese companies. Some are startups and some are really huge companies, and the larger companies, the problem is not that there aren’t creative innovative ideas. There’s plenty of people with great ideas but they have trouble getting the ideas to go sort of up the chain of command so that people will make a decision and act on them. Was that your experience in Mistui as well? Daisuke: If I continued to work in a traditional huge company, I wouldn’t have any option to work in another huge company, but compared to a startup company from scratch, I thought it would be more speedy, it would be more creative because we could start from there. Tim: Was your family supportive of that? because that’s a pretty big change from going to like, University of Tokyo and Mitsui, that’s a definite sort of lifestyle track and then leave and join a startup. It must have surprised a lot of people. Daisuke: Yes, it was surprising but for me, much more important to realize my dream. Tim: So are you married? Daisuke: No, no, I’m single, yeah. Tim: That must make it easier to make the decision. Daisuke: Yeah, I think so, and also, I started the company together with my co-founders and we then thought that it would not take a huge risk. Tim: So after 11 years in Mitsui, how did you meet your co-founders? Daisuke: Actually, my friends at the university, I called my friend who his the best guy of business who worked for Recruit as a CEO in China. Also, I called a best guy of engineering who studied together with me in same class. Tim: So was this part of just like the University of Tokyo alumni association or were these people, you were calling them for like, the first time after 10 years of graduating? Daisuke: The co-founder from the business side (our COO), I was talking with him about the possibility to start a new business always even during the time of the universities. When it comes to the co-founder for engineering (our CTO), I spent a lot of time to get his decision. Tim: I think that’s important because so many younger startup founders, startup founders who are in their early 20s who are still at university, it’s very easy for them to network and find co-founders. A lot of people who are working with big companies and who want to start a company say that one of their biggest challenges is finding co-founders. Daisuke: Actually, at the university, we were talking about the possibility but we stopped the discussion. We liked the company, I liked Mitsui, he liked Recruit, he liked Microsoft, but I started the discussion again with them. Daisuke: Yeah, yeah, yeah. The time came. Tim: And he said, “Yes, let’s do it”? Daisuke: Actually, I think in November, I talked to the COO, we had been discussing for one month and we decided, and regarding the CTO from Microsoft, I had been talking with him for one year. Daisuke: He has his family. He has two children. He spent more time. It was much harder for him to get approval from his wife. He had to convince his wife. Tim: We both know Terada-san from SanSan who’s been on the show before who’s also from Mitsui. Are there a lot of startup founders from Mitsui now? Tim: It’s not like a community? Tim: Okay, are your colleagues from Mitsui, are they supportive? Are you still doing business with Mitsui now? Daisuke: It’s not popular to leave Mitsui before retiring but they are supporting a lot. Tim: That’s great. What advice would you give to other people working at large companies who are thinking of starting a startup? Daisuke: When I was working for Mitsui, I was just thinking that creating a new company from scratch would be very, very, very challenging. It would take a lot of risk, but now, I understand, of course it’s very challenging but it’s not so big challenge. Everyone can try, everyone will do it, but first step is a very hard step for workers at the huge company, I think. Tim: So you think that people like, imagine it being much harder than it really is? Time: Yeah. I think that’s true of most things. People worry too much. Another big difference that startups than working at large companies, startups tend to focus on the problem they have right now that’s right in front of them. Larger companies like to plan for every possibility. Daisuke: I think so, especially now. Now, it’s not so meaningful to plan five years, three years. We have to resolve the problem now. It’s a big difference between the startup and the large companies which I learned. Tim: Yeah. Yeah, me too. I think it’s just, planning is safe, taking action is the risk. Let’s talk about AI a bit. Atama-Plus uses AI but what exactly are you doing? What are you analyzing and what are you doing to make a customized learning experience? Daisuke: Our students study with our application inside the tablet. The program identifies what they don’t really understand. We create a personalized curriculum which consists of video lectures, exercises, and tests. Tim: So for example, study tools that help people review, they’ve been around for a long time, like basically flashcards-type study tools have been a long time, around for a long time, but Atama-Plus actually pulls together different video, creates a whole new course for each student? Daisuke: Yeah, but we have a lot of contents. We created a lot of contents including the video lectures and a lot of tests. Tim: How do you measure success? Daisuke: Firstly, we take improvement of their score but for us, it’s more important to observe the users. We actually go to jyuku and we observe the users and we have interviews with them, and then we easily understand how they feel, what they think about our product. Tim: How do you balance, because it sounds like there’s two approaches to improving Atama-Plus or any product like this, so one is that direct human interaction where you’re actually watching the students interact with the program, and then making judgements based on that but that’s not artificial intelligence. That’s just regular intelligence, and the other way is, artificial intelligence, the raw looking at the data and looking at the interactions, so with Atama-Plus, what’s the balance between those techniques? Daisuke: Both are very important for us. We are an AI company but we want to innovate education, that’s why when we observe some needs to improve the experience of education, we developed something not realted to AI. Tim: Okay, education has been – it’s been one of the areas that has been most resistant to innovation or certainly disruption for like, the last 150 years. It’s been basically the same. We’ll bring in new tools but it’s the same basic structures. We talked before about jyuku, since they’re private and competitive, being willing to innovate more, but have you found, for example, the Japanese Ministry of Education or universities, have you found other schools that are also interested in trying this technology? Daisuke: Yeah, many schools approached us but I think almost all schools unfortunately don’t want to change education dramatically. Tim: How much freedom do Japanese schools have to make decisions like that? Because the Japanese Ministry of Education decides on a very, very detailed level what will be taught. Every seventh grader in Japan is learning the same Mathematics lesson this week as every other student in Japan. Daisuke: I think public schools in Japan, they have strict regulations. But in case of private schools, of course they have to use some materials but they can teach by the best way they think. Tim: Why do you think that education has been so hard to innovate and so hard to disrupt over the last 100 years or so? Daisuke: Because every parent has their experience of education. They don’t need to change their image. For example, when it comes to the smartphone, the parents didn’t have the smartphone. Now, they have smartphone but at that time, they have their schools so they don’t need to change the image. Daisuke: Yeah, but in case of jyuku, the business model is changing always. That’s why it’s easier to innovate education in the jyuku market. Tim: It makes sense because the jyuku are competitive. Students select which jyuku they go to based on results, and elementary school, high schools aren’t – I mean, there are good private schools that have good reputations but it’s not the same kind of direct competition. Well, companies like Atama-Plus and many other successful companies in EdTech business are providing study tools, so it’s the same education format, it’s just helping the students learn better in that environment, and the first step for it is just, I will put all the books on PDFs, we’ll make videos of the lectures. That’s not really changing anything. It’s just changing format and the next generation is really using technology like Atama-Plus is to make learning more efficient, to give students tools. The next step would be changing the structure where it’s not just listening to lectures. Do you see that kind of change happening in Japan? Daisuke: We are trying that. We want to change the structure. We provide not only education tools but also education contents, teaching method, coaching the style, everything related to the education in order to improve the quality of education. Tim: But as long as your customer is the jyuku and you’re doing B2B2C, as long as you have that relationship, your mission is always going to be sort of helping the jyuku. Do you plan on changing things, either by going online directly or? Daisuke: Actually, we want to start a new structure of jyuku. Inside one class, they have 15 to 20 students and each student study with our contents but inside the class, they have a human coach and the coach focuses on coaching. The coach encourages the students, the coach doesn’t teach. Who teaches is our AI, so the technology focused on teaching, the human coach focused on coaching, this is the model we want to create and the big pain of jyuku market is the lack of teachers. So that’s why we want to create the new model together with jyuku. Tim: Okay. An interesting thing about the model you’re explaining, it sounds like you think that physical presence is still very important. It’s still very important for everyone to physically get in the same room. Daisuke: Yeah, physical place and human coach are very important. Daisuke: If we provide online program to consumers directly, they can easily study but I think it’s just for the top students. The top students know about what topics they don’t understand, what is their weakness, but the majority of students don’t understand what is their weakness, so the coach has to support them. It’s better to study together with their friends. Tim: Okay, so your sort of ideal situation is one where the artificial intelligence is doing the teaching and deciding how to put the lesson together, and the human intelligence is helping the students decide what it is they need to learn and what they should focus on. Daisuke: But besides, our AI also supports the coaches to encourage the students in the right moment with the right comment. Everything related to coaching, we support. Tim: Do you ever think it will get to a point where it’s all done with AI or do you think there will always be a need for a human coach or a teacher? Daisuke: I think always coach, human teachers are very important. Tim: I think so too. I don’t know why but I mean, going back thousands of years, of course, teaching was always one-on-one and there are very successful platforms like say, Coursera or the iTunes lectures, and wonderful resource but it does seem only a small percentage of people can learn effectively with those tools. Daisuke: Top students, I think. Tim: Yeah, so we’ll always need that kind of human interaction. Daisuke: We want to change the problem of Japan. We don’t want to help only the top students in Japan. Tim: Yeah. Actually, let me ask you a question about AI in Japan because AI is such a hot topic right now around the world. With all of the research that’s being done in AI, particularly in the US and in China these days, do you think that Japan is kind of falling behind? Daisuke: It depends on what kinds of AI. AI means a lot of things. Daisuke: In general, I think when it comes to the software of AI, the US is most advanced country. I think in case of hardware of AI, Japan is going to get better position. Tim: So the hardware meaning like the GP? Tim: Oh, like the AI robots? Tim: Yeah, I think that’s true. So many companies now are open sourcing their AI libraries and you can get artificial intelligence computing on Google cloud and Amazon. If AI is becoming so open-source, what’s the best way that AI startups can build the market and defend it? Daisuke: We focus on the problem. We don’t focus on AI. We use some technologies, some open-source technologies. Depends on the area, we can get some technologies from third parties, but we want to focus on the problem. Tim: So the best thing is just to treat AI like a simple tool, just like a database or something? Daisuke: Yes, I think so. Tim: That makes sense and build the business around your own expertise and your own innovations? Tim: Long-term, I know there’s a lot of big market to build up in Japan. There’s very few EdTech companies that are global. They seem to be focused on particular school systems or particular sets of clients. Do you see Atama-Plus expanding internationally or do you think that education and EdTech startups, there’s something about it that makes it a local or national market? Daisuke: At this moment, we want to focus on the Japan market but after that, we want to try something outside Japan too. Tim: Why do you think it’s so difficult for EdTech startups to move into new markets? Daisuke: Because education is a local business. The contents is different, the curriculum is different, depending on each market. Tim: That makes sense. So we all might learn the same ways but the requirements for what we have to learn are different in each market, and I guess the customers are very different in each market. Okay, listen, before we wrap up, I want to ask you what I call my ‘Magic Wand’ question and that is if I gave you a magic want and I said you could change one thing about Japan, anything at all – the education system, the legal system, the way people think about risks – you could change anything at all to make things better for startups in Japan, what would you change? Daisuke: There are not a lot of startup companies in Japan because of the lack of information about the startup markets. I didn’t know about real things about the startup in Japan when I was working for Mistui. Almost all people don’t know about the startup ecosystem, how to create the company, how to recruit the people. Tim: They just don’t know it’s possible or they just don’t know the step by step of how to do things? Daisuke: Traditionally thinking, almost all people think, “Ah, it’s very high-risk, very difficult to leave the huge companies to start new business,” but the reality is not so very difficult. So maybe sharing the real information, what is happening in the startup ecosystem would support the challenges. Tim: Is that more information or is it more kind of use cases? Tim: So we need like, people inside these big companies to see examples of people like you and Terada-san who left and start their own companies. Daisuke: Maybe it’s better to take entrepreneurs to high schools to share the startup real information with the students because they start thinking in a traditional way when they are students. Tim: So by the time they get in the big company, it’s too late? Tim: So like, high school age? Daisuke: Junior high school and high school. Tim: Ah, okay, because at that time, students are starting to imagine what their career is going to be and what their options are. Daisuke: Yes. Actually, what is happening in Japan is they don’t have contacts with adults. They know only their teachers, their parents, and maybe teachers at jyuku, so if they didn’t have good contacts to get more information, real information, in the world, they would think in the same way with the parents and the teachers, and of course, they don’t have any experience about startup. They would say, “Ah, you have to go to the large companies, you have to continue your career,” so gradually, they think in the traditional way. Tim: That makes sense. In the same way, education doesn’t change because it’s always the last generation’s image gets put on this generation. Daisuke: Yes. They have to talk with another guys in addition to their teachers and their parents. Tim: And actually, I think you’re right. If you reach people in junior high school or high school age, those students still kind of believe in themselves. They still believe that, “Oh, I can make this thing and everyone will love it,” and the older you get, the less you believe that. Daisuke: Yeah, but they can do it. Tim: Yeah, yeah. Excellent. Listen, Daisuke, thanks so much for sitting down with me. Artificial intelligence is one of my favorite topics but it’s always been something that is very hard to talk about objectively. It’s hard to define exactly what artificial intelligence is. On one hand, we have the marketers trying to convince us that every use of statistics or adaptive behavior of any kind is some kind of artificial intelligence or machine learning, and on the other hand, we have academics who keep moving the goalposts further and further away. When computers learn to pain or compose music, or play chess, or Go, people make the argument that those machines are not really displaying intelligence. I think the real reason we have such a hard time defining artificial intelligence is that we have such a hard time defining what intelligence itself is. We don’t really know. I mean, we love to talk about intelligence. People who claim to have a lot of intelligence love developing tests to measure intelligence, to quantify intelligence, but we can’t seem to agree on exactly what intelligence is. Now, I’m not going to pull you down that particular rabbit hole today, but if you feel like diving down yourself, you should pick up a copy of The Mismeasure of Man by Stephen Jay Gould. It’s an amazing treatment of the subject that will have you thinking for months about what we classify as intelligence and why we care so much. Intelligence is complicated and abstract, but education, ah, education, that is a process that’s right in front of us, we can see it. Daisuke’s point that a human being will always be needed in education is an interesting one and it’s one that goes against what most other EdTech startups are claiming, but you know, I think Daisuke’s right; the importance of education is more than pouring facts and skills into young brains. Of course, the skills are important but equally or perhaps even more important is the fact that our education system really defines our society. We all grow up with a shared set of knowledge and an understanding of not only our country’s history, but we grow up with shared experiences and shared challenges. Our educational experiences are a big part of who we are, and maybe that’s why education is so hard to disrupt. The education system is not always improved by greater efficiencies or lower costs. Perhaps, just perhaps, it is those very inefficiencies and frictions of one-on-one teaching and sitting together in classrooms, and complaining to each other about how hard Math is, that provide the most value. It is the human interactions and inefficiencies that we remember most and come to define us not only as individuals but as a society. If you’ve got thoughts about education or intelligence, artificial or otherwise, Daisuke and I would love to hear from you so come by disruptingjapan.com/show112 and tell us about it. And when you drop by the site, you’ll see all the links and notes that Daisuke and I talked about and much, much more in the resources section of the post.